We don’t drink tons of soda, but we do like to have it occasionally. However, I love flavored water, especially seltzer, and I’ve even been known to add a dash of orange juice to seltzer. Soda is expensive, and seltzer can be too, even the generic brands. I go through flavored water so quickly that it takes up tons of space in the cart, the trunk, the pantry and the fridge. Not to mention the space in the recycling bin. One reason I like to have soda on hand is to be able to offer it to guests. Keeping a few 12 packs on hand again, takes up a lot of space in the pantry, and trying to keep a few of each type cold takes up a ton of space in the fridge. 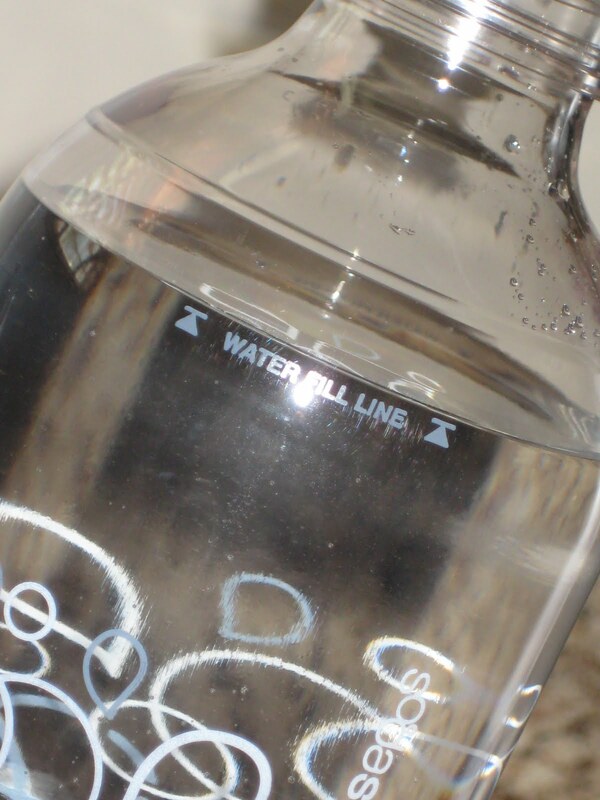 If we buy 2-liter bottles, it goes flat before we drink it, and that’s money down the drain. 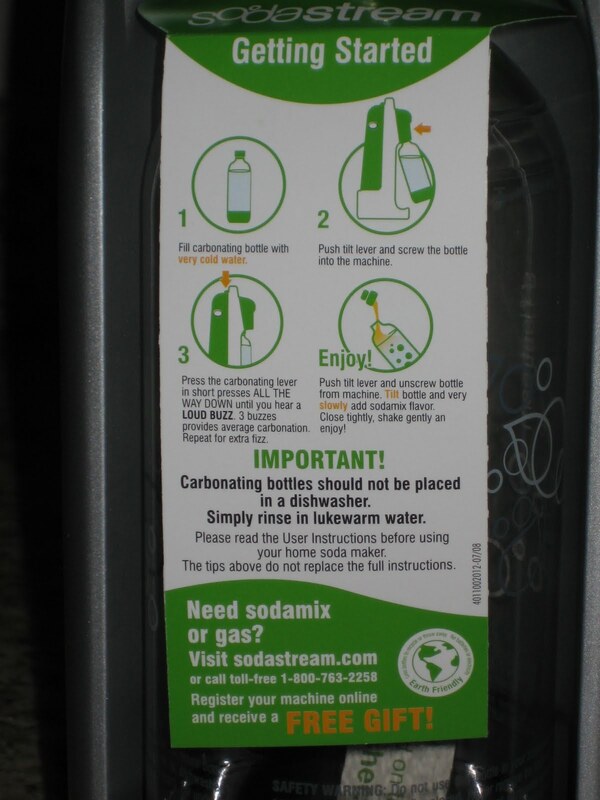 You can read here about how SodaStream helps the environment including less packaging waste and less pollution from transporting the packages. SodaStream offered to send me a Fountain Jet starter kit and some SodaMix flavors to try and review. They are sponsoring a giveaway too, so read on! I was very excited to find this at my door. It was packaged with bubble wrap that my daughter enjoyed, and some other cushioning materials that I can reuse! I also got seven SodaMix flavors, and 3 MyWater flavors! 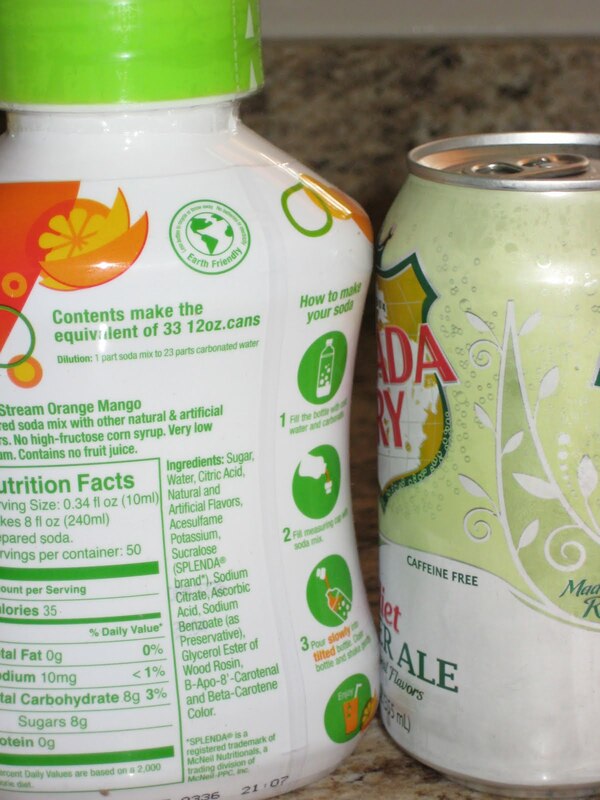 Each bottle of mix isn’t much bigger than a single can of soda, but it makes the equivalent of 33 cans! Each bottle sells for $4.99-$6.99 and makes 12 liters of soda. All of the bottles in my pantry took up about the same amount of space as a 12-pack of soda, but the 7 bottles would make over 19 12-packs worth. Each tiny bottle of MyWater mix makes 20 1-liter bottles. The FAQs say to keep unopened bottles in a cool, dry place, and for the “coldest soda,” you should keep opened bottles in the fridge. The MyWater bottles say to refrigerate after opening, and to use within 6 weeks of opening. I am used to things requiring refrigeration after being opened, so I decided to store them in the fridge just to be on the safe side. They didn’t take up much more space than a few cans of soda. 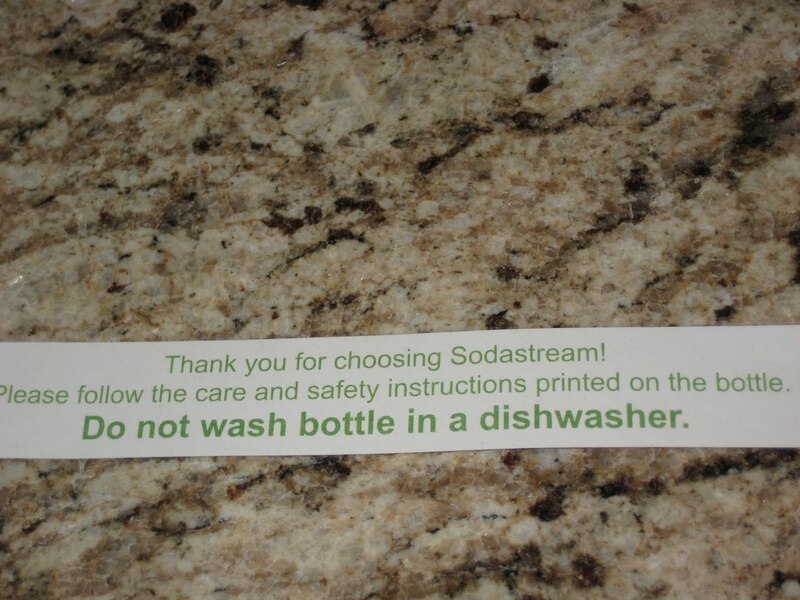 The SodaStream website says “SodaMix bottles feature a “best before” date which relates to optimal taste. Rest assured that sodamix can safely be consumed well beyond this “best before” date, however peak taste is ensured by consuming prior to this date. Sodamix will typically arrive at your home with about 3-4 months remaining prior to the “best before” date, therefore please order no more than a 3-4 month supply of sodamix.” I had one bottle with a Best Before date in this fall, one in December, and the rest were early next year. The machine is small, sleek and lightweight. 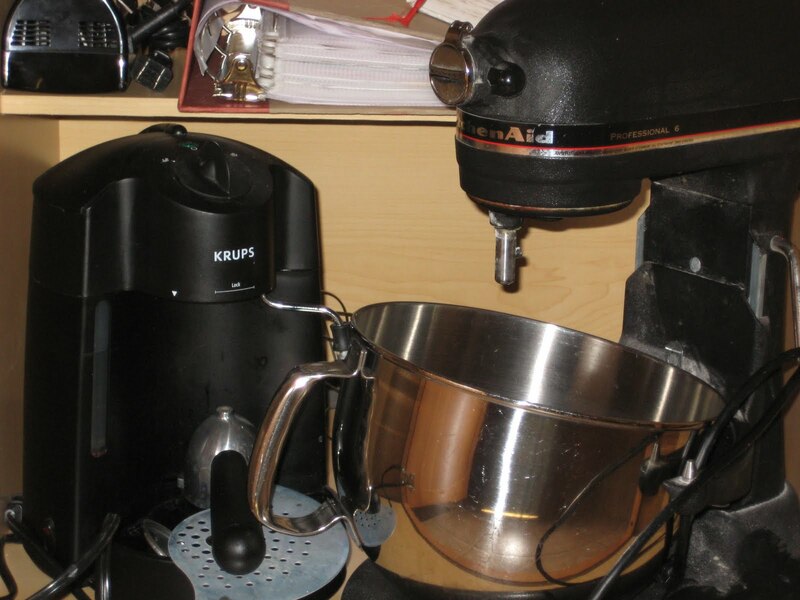 I have it out on my counter instead of being hidden away like my other small appliances! It actually looks great with my stainless appliances. The machine had a tag with some quick tips on the it. I still read the instruction sheet, and referenced it as I tried it out. 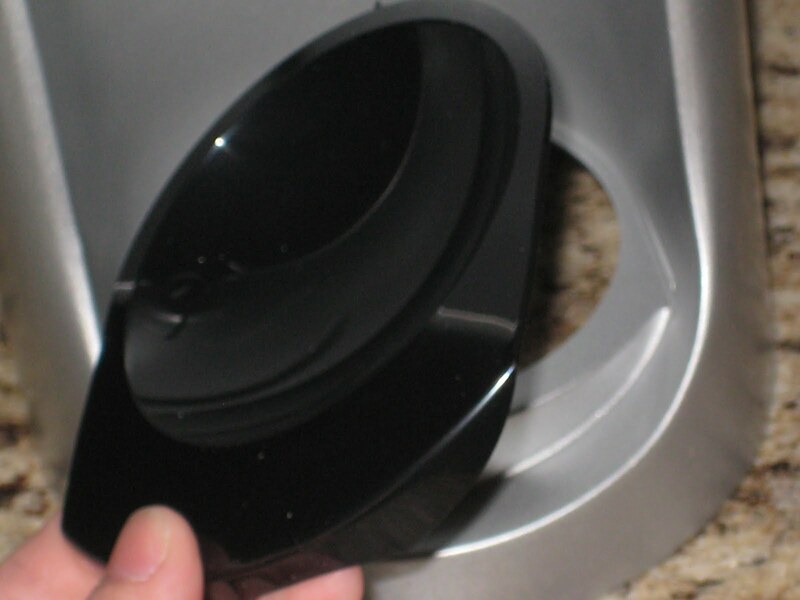 The Fountain Jet has a drip tray that’s easily removable for cleaning. I’m ready to set it up and try it out! It was really pretty easy. I had to install the CO2 cartridge. 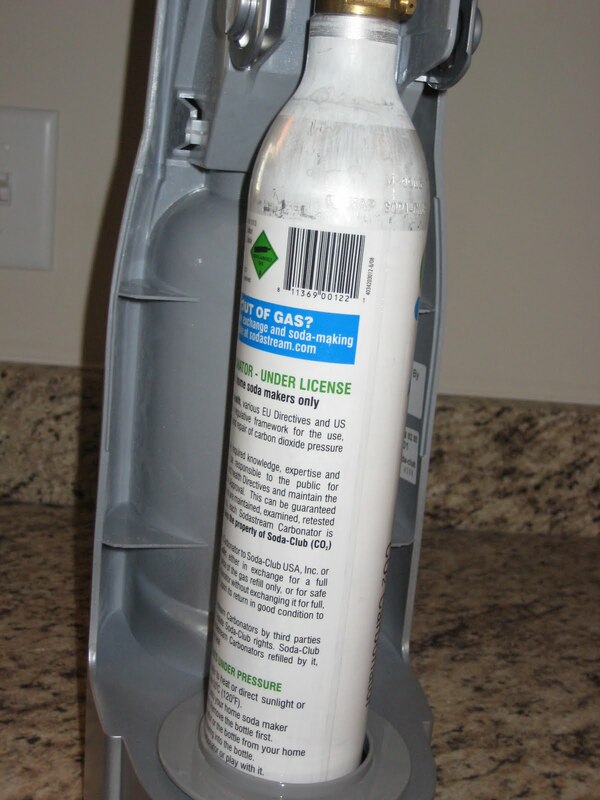 My starter kit came with a 14.5 oz cartridge that will carbonate up to 60 liters. The spare/exchange deal works just like propane tanks. Exchanging a cartridge this size costs around $15. Getting a spare is slightly more. Looking at their online store, it appears you can’t exchange just one of the smaller ones, so I would have to do the buy 1 spare/exchange 1, which is regularly $49.99, on sale for $30.99. (The Earth Day sale runs through 4/23 and offers 40% off spare carbonators). The shipping charge is $7.99, and shipping your empty back is free. If you don’t ship it back, you can be charged a $15 fee (basically making it a spare rather than an exchange). You can also search for a retailer and look for one that sells spares and/or exchanges. For us, the nearest is about an hour away. We’re used to this. Our mall’s anchor stores are Sears and JcPenney, not Neiman Marcus and Crate and Barrel. We travel to a “big mall” city a few times a year to shop for different things, so we could take care of this then, or just order online. 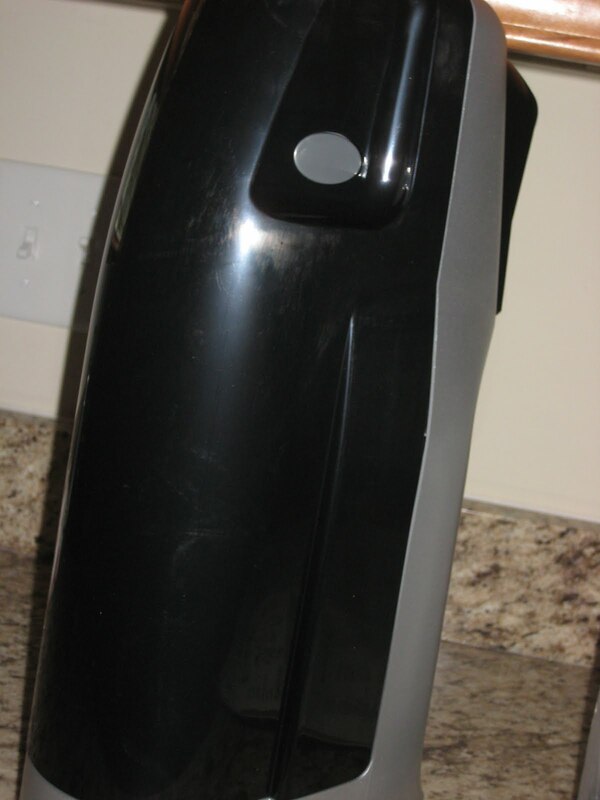 The Fountain Jet also accepts 33 oz/110 liter carbonators. Other models do not. In any case, installing it was easy. I removed the back panel. The Fountain Jet comes with two BPA free, reusable PET bottles. You can get extras for $15 per two pack. They are 1 liter size. They also have 1/2 liter travel size bottles. Much sturdier than a store bought soda bottle. They cannot be washed in the dishwasher. The caps have a rubber seal, keeping the seltzer or soda fizzy for much longer than store bought. You are supposed to be able to use each bottle for up to three years. The bottles conveniently have the discard date printed on them, but mine say to discard after October 2011. I imagine they sent me a kit that was a bit older than what they would ship a purchaser. and thread the bottle on. The instructions said to press the carbonating button in short presses, all the way down until you hear a loud buzz. 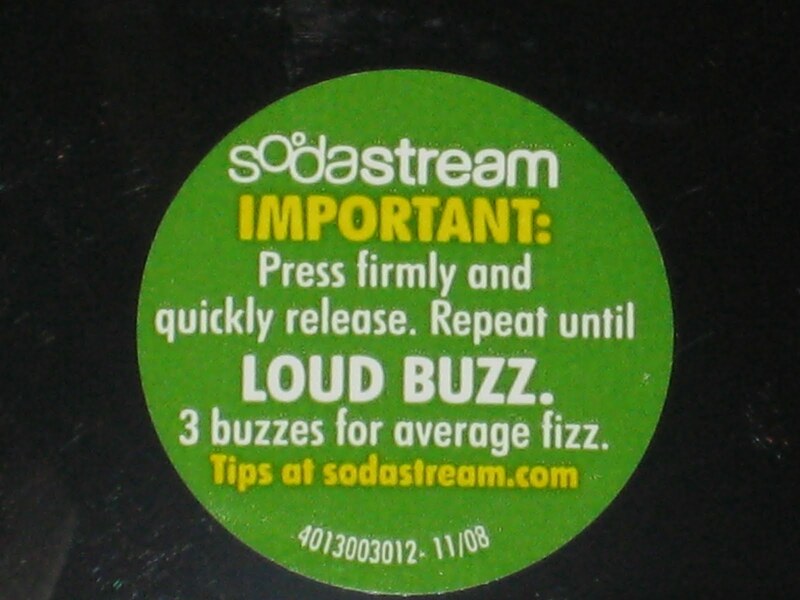 3 buzzes provide average carbonation, repeat for extra fizz. This took me a little bit of practice. I initially wasn’t pressing the button hard enough, and I wasn’t sure what I was supposed to be hearing. I took a quick video to show you. My daughter said the “buzz” sounded like a burp, and I think that’s pretty accurate! Hold your bottle of fizzy water at a 45 degree angle, and slowly pour 1 capful of SodaMix in. Tighten cap and gently rock the bottle back and forth to mix. Or, you can do what I did. I carbonated the water and stored it without adding anything. The “serving size” is 8 oz of water to 10 ml SodaMix. So, you could just add about 2 teaspoons of mix to 8 oz of seltzer in your glass, then mix. What I really like about this is that if your seltzer loses some of it’s fizz, you can re-carbonate it. You can only carbonate water, so if your already mixed soda loses it’s fizz, you can’t re-carbonate it. Also, no, you can’t carbonate vodka. *eyeroll* Yes, when my hubby saw this, he asked me if you could carbonate anything else, with a devilish glint in his eye and yes, he specifically mentioned vodka. Also, you can have whatever flavor you like, without having several bottles of mixed soda on the go, taking up space, getting flat! It also makes it very easy to keep the bottles clean. Just rinse with warm water, fill with clean water to the fill line, then store in the fridge until you’re ready to carbonate (cold water carbonates better). What I like most about the Soda Stream, is that I can adjust the mix to water ratio to my taste. Most sodas are too sweet for me. Even when I occasionally get Fruit2O, I cut it with about half water. In fact, my favorite water isn’t sweetened at all. It’s a rare treat though, because it’s so expensive! I set up a taste test. My 5-year old daughter was excited, since she’s only had sips of soda a few times. It’s actually quite amusing since she really doesn’t like soda. She makes a disgusted face, but forces out a “yum” or similar, before refusing another sip. I think she wants to keep her options open to try some the next time, instead of being reminded that she doesn’t like it. Anyway, I put about 4 ounces of water and 1 teaspoon of soda mix in each glass, then stirred. I used 1/4 tsp of MyWater in those glasses. I really wasn’t sure if my husband would like any of these. All of the SodaMix flavors contain splenda, even the “regular,” non-diet flavors. Neither one of us is a big fan of artificial tasting flavorings, but he is really bothered by artificial sweeteners as well. The MyWater flavorings contain natural flavors only, no sweetener (though they tasted sweet to me). The “regular” flavors don’t contain any High Fructose Corn Syrup. However, I do wish there were flavors sweetened with cane sugar or stevia. After a few tastes, we decided we needed a palate cleanser. Not just goldfish, dye filled goldfish. 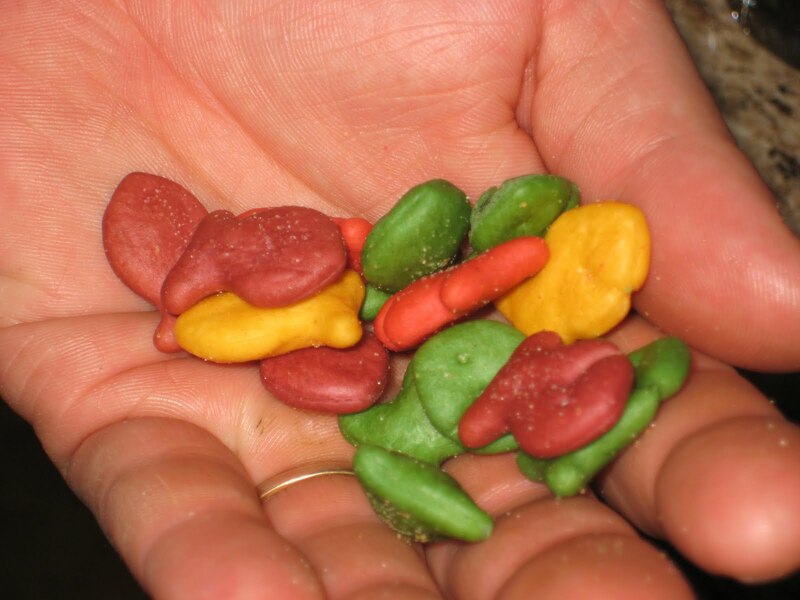 What can I say, sometimes it’s worth giving in to pleas for colorful goldfish. It’s a better “treat” than candy! Hubby liked the Coke Zero imitation. He used it just as he uses Coke (ha ha). He also really enjoyed the Diet Energy drink. He thought it tasted and smelled just like Red Bull. The next morning after this taste test, he mixed some up and took it with him on the ride to work, in one of his reusable, aluminum bottles. My daughter really liked the orange mango (also my favorite). She also really enjoyed the diet cream soda (as did my hubby). I thought that the fruity flavors were good with the average, 3 “buzz” carbonation, but the cola, root beer etc. could have used a bit more fizz. I loved the orange and lemon-lime MyWater flavors. I thought just a drop to a full glass was great, and that it would taste great in “still” water also. Even my husband liked the lemon-lime, and that is not his cup of tea (seltzer?). 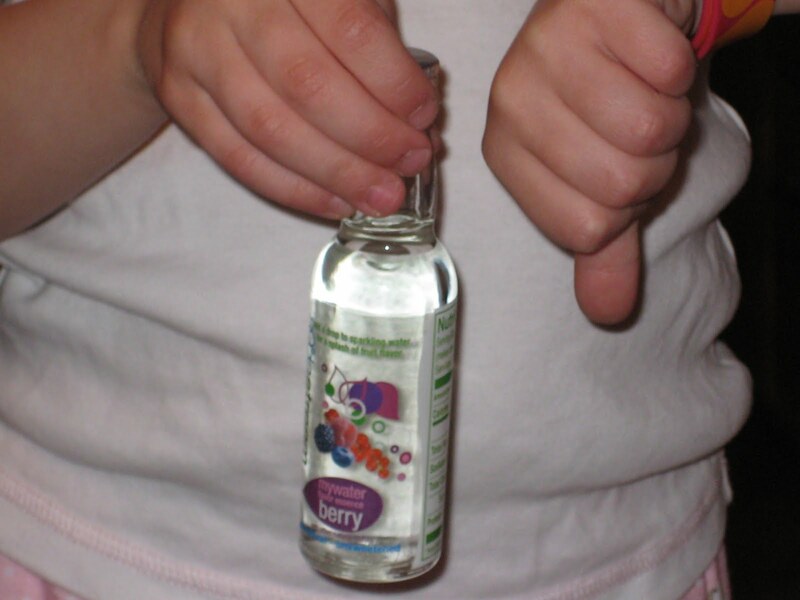 The only flavor that got a thumbs down all around was the berry MyWater. I think this would would be great for a party. 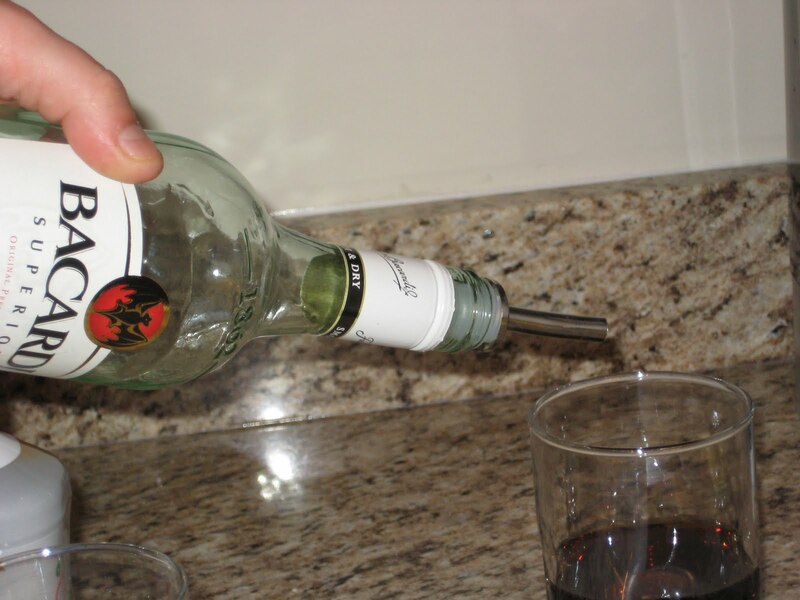 You could mix different flavors, even use them as alcoholic drink mixers. My husband had the idea of having a pump that would dispense the right amount for one glass, which is a great idea. I figure two liters of this soda costs between $1.43 and $1.77 between soda mix and a large CO2 cartridge (exchange-including shipping). This is slightly greater than the typical “stock up” sale price on name brand soda in 2L bottles, at my local store. 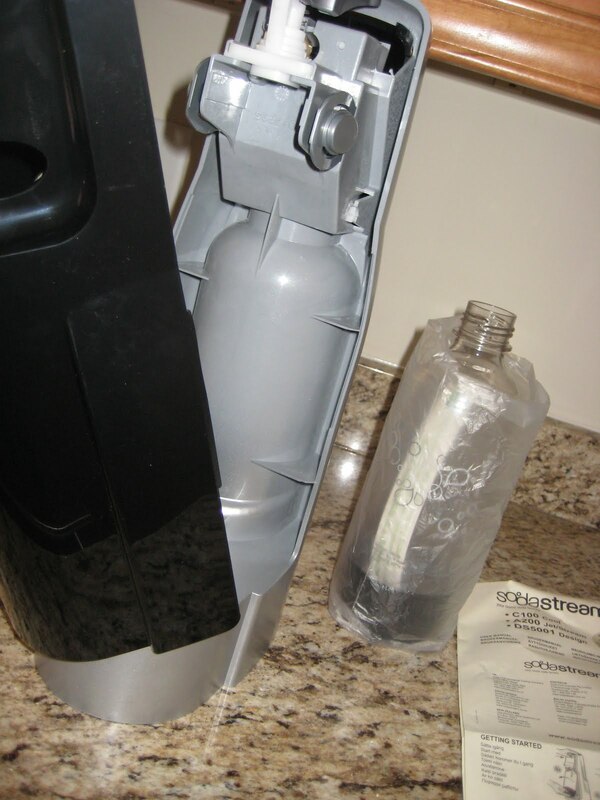 However, we would end up throwing away about half of that two liter bottle, making the SodaStream much more cost effective for us. That’s totally aside from the convenience and storage factor. The energy drink is much, much more cost effective and the savings on seltzer is huge. SodaStream says you can use tap water, but I would use filtered water. We have awesome well water that is further filtered. Even before being filtered, it tastes like mountain spring water (probably because it is!) So, that may make ours taste extra good! Right now, we’re having a blast using this. Before I invest in more CO2 cartridges or SodaMixes, I want to see if we continue to use it after the novelty wears off, or if it collects dust! Want your own? Buy one. SodaStream will send one lucky winner a Fountain Jet starter pack (retail value approx. $100), which includes a machine, 1 carbonator, two BPA-free carbonating bottles and two flavors of the winner’s choice. 1. Leave me a comment with which two flavors you would choose if you won. This is a mandatory entry. 4. Follow me on Twitter. Current followers count. Comment saying you’re a follower to get your entry. 6. Write a blog post about this giveaway and link to it. Post a comment with a link to your post for your entry. 7. 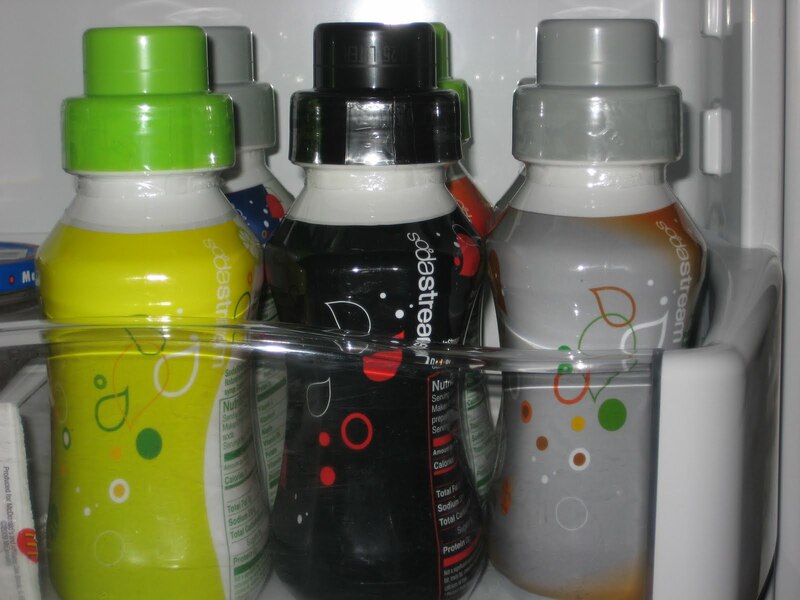 Become a fan of SodaStream on Facebook. Comment saying you’re a fan to get your entry. I will accept entries until Wednesday, May 5th, 2010 at 9:00 P.M.
I’ll use random.org’s true random number generator to select a winner, than notify the winner via email. 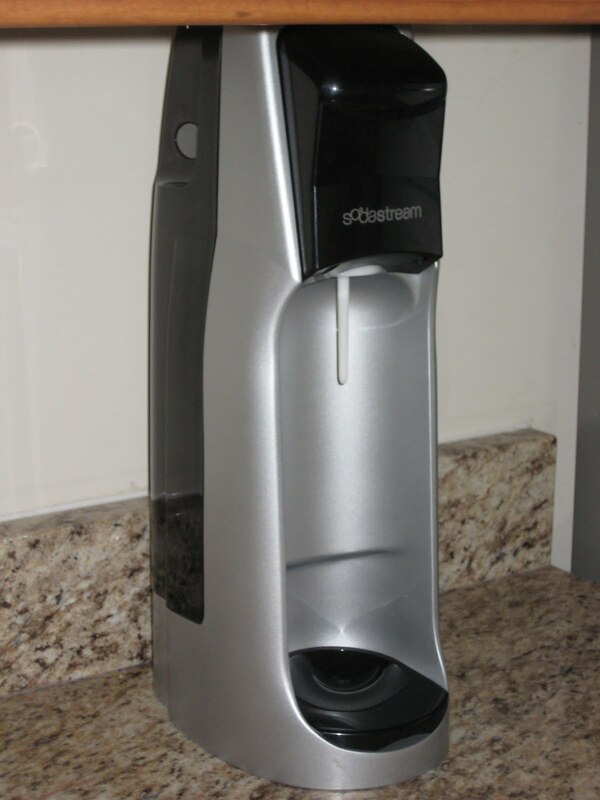 Thank you SodaStream for providing me with a Fountain Jet and SodaMixes, as well as the winner’s starter kit. The freebies in no way influenced my review. Edit August 2010: We’re still using this regularly and have purchased cartridge and sodamix refills. I stll wish they had a “make your own” sampler option so we could try different mixes without committing to a full bottle, or a sampler with many flavors we’re not interested in, or have already tried. >I tweeted today http://twitter.com/busymomblog/status/13405233733busymomblog at yahoo dot com. >I think I'd go with the Diet Orange and the Diet Pink Grapefruit. Yummy! >I would like to try the rootbeer and cranberry raspberry flavors.Thanks! >I would choose the diet creme soda and the diet cola! 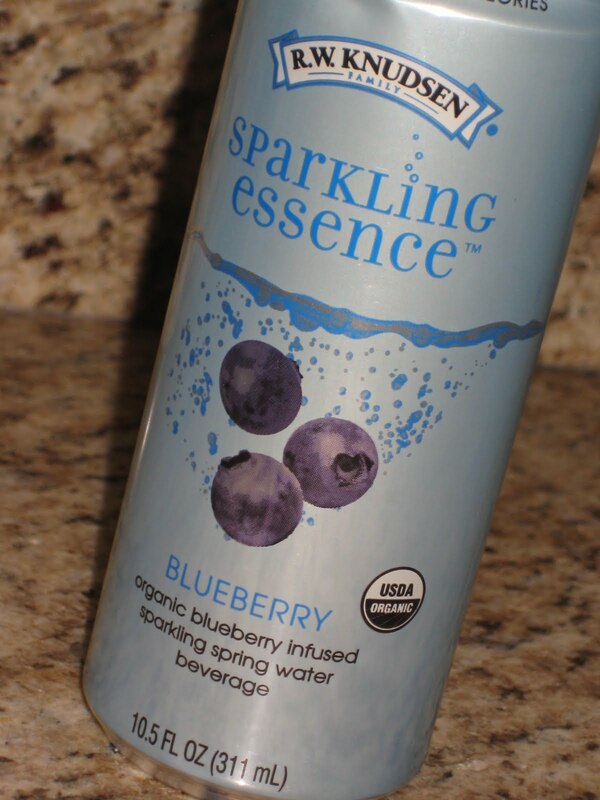 mmm Delish!I buy enough seltzer to warrant buying one of these – I'd love to win one! >I would probably pick the lemon-lime and orange mango to try. although the root beer has a rather strong pull, too. >I am now following your blog. >I like Diet Fountain Mist and Zero Cola. >I am a sodastream fb fan. 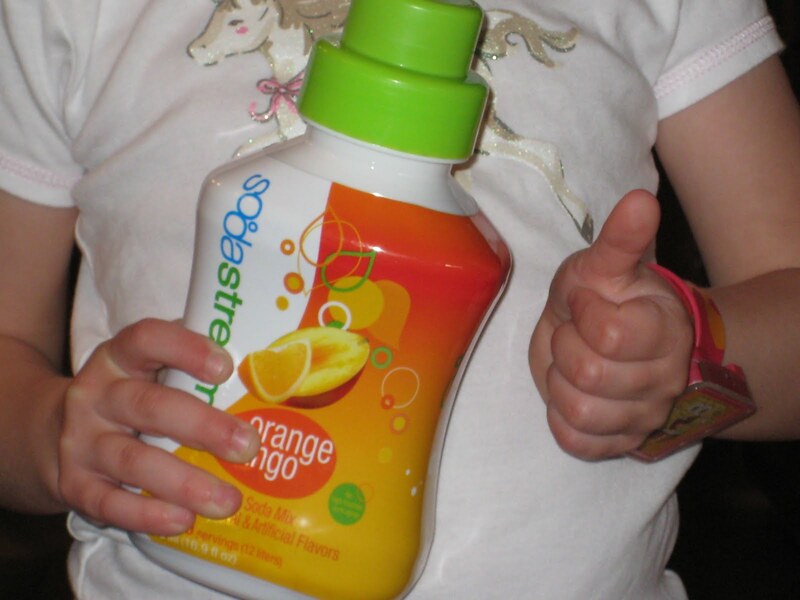 >I fanned Soda Stream on facebookbusymomblog at yahoo dot com. >I follow you on twitter (busymomblog)busymomblog at yahoo dot com. >I became a fan on facebook- looks like they changed it to "like"busymomblog at yahoo dot com. >I follow you through Google Friend Connectbusymomblog at yahoo dot com. >I would choose Fountain mist and Diet Energy Drink!busymomblog at yahoo dot com. >I'm a fan on Facebook. >I wanted one of these soo badly as a kid, so I'd really like to win!My flavor picks would be Diet Cream Soda (although I'd take the regular Cream Soda if it was in stock) and Zero Cola. Yum! 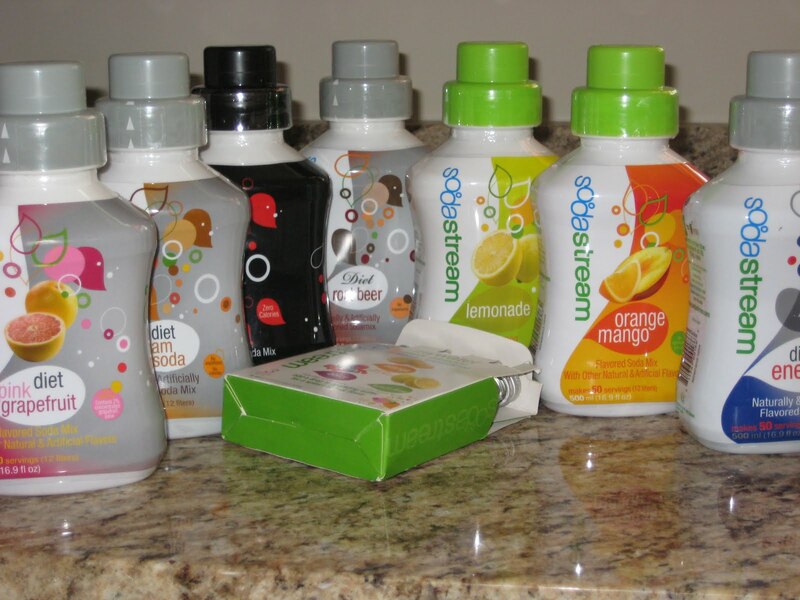 >I am following Soda stream on facebook! >I am following you on google connect! >I would love this soda stream! If I had to choose 2 flavors they would be diet cream soda and orange. Thanks for the giveaway! >cdziuba@aol.com Root Beer and Orange! >I'm a SS Facebook fan! >I would like to try the ginger ale and tonic flavors! >I'm a fan of Soda Stream on Facebook. >I'd love to win this for my brother, who is getting his first apartment this summer. I have a SodaStream already… but I think he'd love to try the Pete's Choice and Root Beer. >I'm a fan of Sodastream on facebook..
>I'm your fan on twitter. >I'm your fan on facebook. >I would try the Zero Cola and the Ginger Ale. >Hello, I would love to try the diet orange flavor and the lemon-lime water essence. Thanks for a great giveaway! >I would love to try Pete's Choice and the Orange Mango looks really good too! >I would want to try the diet cream soda and diet pink grapefruit! kh04250 at yahoo dot com. >I would choose lemon lime and Diet Rootbeer!!! >I'd choose the tonic water and the cream soda (I think). >I would choose the cherry cola & cream soda flavors. Yum!andrea.kruse at gmail dot com…too bad about the My water berry… that is one that appealed to me. >I follow! Good luck everyone! >I would love to try the Energy Drink and the Orange Mango or the Diet Cola or the Orange. They all sound so deelish. >I would try the ginger ale and the lemonade. Thanks! >I'm a SodaStream fan on facebook. >I would choose ginger ale and orange mango. Yum! >Ooh, Peach Iced Tea and Ginger Ale. 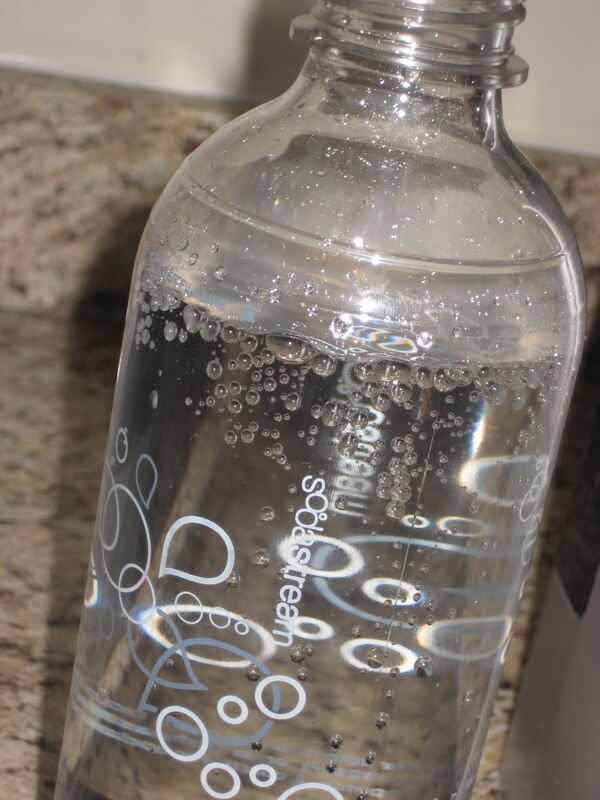 I have to let you know I have read many many reviews on Soda Stream and I really loved how many pictures you have and the detail you gave. Your comment about your hubby made me laugh. That would be my husband too! >I'd choose root beer and ginger ale. I gave up soda with HFCS last fall and am missing these two flavors big time! >I would try the Cola for sure, and either Lemon Iced Tea or the Orange Mango! I would love to have this!!! >This was an excellent review. I learned so much about this product. Thanks! My favorite two flavors would probably be root beer and zero cola, as those are the types of sodas I typically drink now. >I fanned Soda Stream on FB! >I am a FB fan! >and I'm a fan on FB! >Diet cream soda sounds good! >I would choose orange and lemon lime. >I've really been wanting to try one of these. I would choose Ginger Ale and Root Beer! >Just became a fan of SodaStream. >And I'm a blog follower. >I'm a follower on Twitter, too. >I'm already a Facebook fan! >I would probably choose old standbys: diet cola and diet root beer. >I'm your facebook fan too! >I think I would go with Lemon Lime and Grape, both are my favorite soda flavors, since I don't usually drink anything with caffeine anymore. >I would want to try the orange mango and the cranberry raspberry first although I would also be interested in trying the diet cola as I am a big Diet Coke fan!